Ubisoft's Uplay store adds games from EA and other publishers. In a move to bolster the strength of its digital storefront Uplay, Ubisoft is adding a slew of new titles to its library, including some from its competitors. 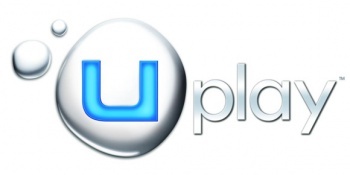 Uplay, which has an estimated 50 million users, will soon feature games from publishers including Electronic Arts and Warner Brothers among others. The move is part of a push to strengthen Ubisoft's digital presence in the industry, something that many publishers are investing in as digital distribution of videogames continues to grow in popularity and profitability. "We've been working on this for some time." Stephanie Perottie, Ubisoft's worldwide Uplay director said. "We've been launching our own Uplay shop, and we wanted to make sure we offer a good experience from the start so we had to work on both the technical setup and all the negotiation with partners, and we thought the time was good after the release of very strong PC titles from Ubisoft." Besides EA and Warner Brothers the list of publishers and developers partnering with Ubisoft is considerable. The full list includes: EA, Warner Brothers, 1C Softworks, Bohemia Interactive, bitComposer Games, Encore Software, Focus Home Interactive, Freebird Games, Nordic Games, Paradox Interactive, Iceberg, Robot Entertainment, Recoil Games, Telltale Games and Torn Banner Studios. Ubisoft will also be exporting its games to EA's Origin service in the near future. While pushing a competing publisher's goods might seem a bit odd, Perotti believes it to be necessary to fostering the health of the growing digital market which Ubisoft sees as important to its own growth. "We believe that in four to five years digital should be around 50 per cent of our business." It's a bold goal to be reaching for, and one that's likely to rub traditional physical retailers like GameStop the wrong way.